KHD Valves Automation Pvt Ltd is a High Quality Plug Valves Manufacturer in Mumbai, Maharashtra, India. We are a leading manufacturer of Plug Valves in Mumbai and nearby areas. Our Plug Valves are manufactured according to International ASTM ANSI Standards, ASTM API Standards, ASTM DIN Standards in India. Mail us for Easy and Quick Quotes at Factory Prices. Shaped like a cone or cylinder, a Plug Valves uses a rotating plug inside the body of a Valves to control fluid flow. These types of Valves have one or more horizontal passageways to allow flow through the Valves when open. Plug Valves are often used to move liquids or gases. They typically have two ports but can also have three or more depending on the application. Characteristics: Non Lubricated Plug Valve comes with a fire fail safe design and is available in different trim materials. Characteristics: Fire safe design, Inspected, High Pressure Rating, Quality Tested. The most important benefits of using Plug Valves are the full bore for the flow media, and 100% air tight shut off – even on solids such as granules, powders, pellets, chippings, fibres, slivers. 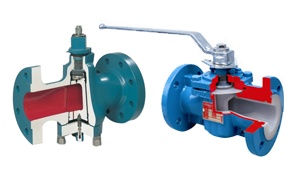 KHD Valves Automation Pvt Ltd are suppliers, dealers, exporters and manufacturers of Strainer Valves in India. Our high-grade range of Strainer Valves are perfectly . These are designed and developed in accordance with the international quality standards. Strainer Valves that are precisely engineered using the prime quality raw material. 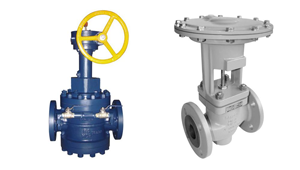 We offer customized Strainer Valves as per the requirements of the clients. Best High Grade Plug Valves and other Valves with optimum quality availabe at KHD Valves Automation Pvt Ltd. The best in business and world Leading dealers of Valves. ASME B1.20.1: Pipe threads general purpose. KKD Valves Automation Pvt Ltd is the best in business and world Leading dealers of Plug Valves. KHD Valves Automation Pvt Ltd Plug Valves offer all the proven design attributes of standard 2-way Valves and are available in a wide range.